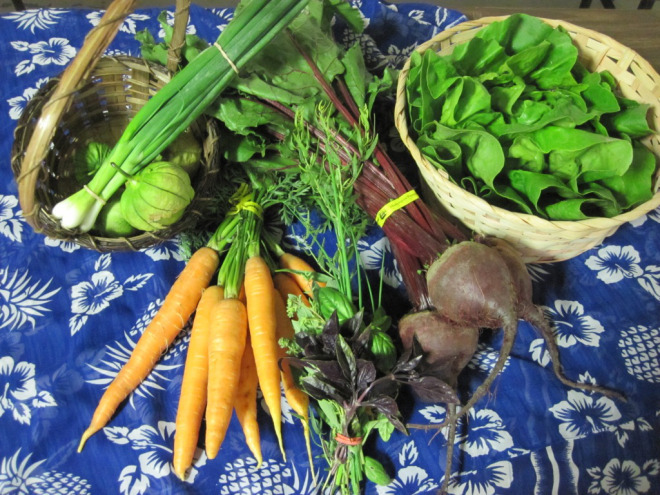 We got a beautiful share this week: carrots, beets, tomatillos, green onions, lettuce, and mixed herbs. The sage in the herb bundles came from my garden–my first CSA sale! Next week I’m providing the garlic share…I better get to cleaning up my garlic after work this week so it’s ready! ← Perhaps a salad for Week 8?